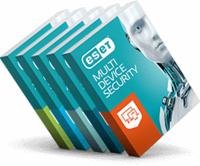 The ESET MSP Program gives you the right tools to provide your customers with our trusted IT security, and lets you grow your revenue - simply and easily. ESET won Japan's Nikkei Computer Customer Satisfaction Survey 2015-2016 – conducted among more than 10,000 businesses. ESET received the most "Advanced+" awards in Proactive Tests by AV-Comparatives. ESET has the longest unbroken run of VB100 awards for malware detection of any IT security vendor. ESET´s Michal Jankech explains the range of platforms you can protect, how ESET products are easy to license and manage, and how you can utilize plugins to support industry-leading RMM solutions. A single web console that gives you a quick and comprehensive overview, and lets you control the IT security of your customers. 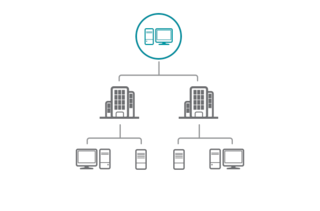 The multi-tenancy functionality allows you to manage multiple customers from a single server, while ensuring customers cannot see each other's data. See all the product installers for different customers, user groups, licenses, etc., on one screen, making filtering and sorting easy. You can add your logo to customize your instance of ESET Remote Administrator, and generate reports with customized headers. If you are working with an RMM (Remote Monitoring & Management) console you know that integrations are crucial. In ESET, our focus is to bring you the best-of-breed, in-depth integrations with the major RMM tools. Our plugins offer the widest range of functionality, are absolutely easy to install and work with. ESET Business Solutions offered through our MSP program allow you to mix and match IT protection across platforms and devices. They're easily scalable, allowing you to add or remove seats every day at no extra cost. The products included are also available as standalone versions. What we especially value about ESET product portfolio is that it has great reputation for detection efficiency and our experience using their products confirms it. We needed a managed security solution for our customers which guarantees the best security and uses less resources and does not affect the device’s performance.